A young girl in turn of the century North Dakota has the opportunity to train to be a doctor. She will be faced with everything from everyday struggles and decisions to faith challenging crisis and disappointment. The author takes us from the idyllic country setting to the fast paced city life of downtown Chicago, where she will ultimately persevere and accomplish what she has set out to do. When I first sat down to read this book, I was overwhelmed with the flood of names and relations that the author seemed in desperate need to rush into within the first few chapters. As one who has not read any prior books related to this family or any of the previous storylines I found myself completely confused several times, re-reading pages and flipping through looking for some sort of reference I may have missed. Not finding any I continued in hopes of eventually making sense of all of the people laid out before me. I had also hoped to find an index or list of pronunciations for all of those names, since I could not find one I kept stumbling over them continually and finally settling on what I am sure was not the right one. A little slow at first and almost too sweet. Everyone blending in together as almost the same character one for the men and one for the women, most of the characters seemed interchangeable, not really set apart in any way. All with the same ideas and flow of writing that added to my consternation trying to get these people straight in my mind. Right around Chapter 4 things begin to pick a bit. A few of the characters seem to begin to have life breathed into them as their personalities begin to show through and if you have the “perseverance” to get that far, you will be rewarded with a sweet and down to earth story that overall was enjoyable. There are several storylines emerging at once intertwining and leaving plenty of room for a continued story. I found myself looking forward to the next book, wondering what will become of the main characters I feel I did manage to get to know. A captivating book about a dogwalker in upscale Charleston who seems to have trouble following her or is she causing the trouble? Will the journalist she has taken a liking to help her and can she trust her heart with him? Gist and Bertland join forces to create a story line which will keep you interested in what happens next. I enjoyed this book from the first chapter to the last. I am a fan of Deeanne Gist and have read all of her books. This one is not like the others because of her collaboration with J. Mark Bertrand. You still get a great story line, the romance, and now there is the enjoyable suspense to go along. I just couldn’t put it down! The Golden Cross is the second of four novels in the Heirs of Cahira O’Conner. The matriarch of the Irish clan promised that her heirs would “restore right in the world.” The heirs all share one thing with each other, other than their genes, their vibrant red hair with a solitary streak of white just above one ear. This book tells the tale of Aidan O’Connor who grows up on a Dutch colony in Indonesia in 1642. Her father died on the trip over from England leaving her mother and Aidan without any money or source of income and stranded on the island. The only way they can live is to turn to a life far below anything they ever thought they would endure. As Aidan grows up she recognizes that she enjoys art but doesn’t have any hope that anyone would train her or help her out of her poverty. Until, that is, a famous artist comes to the colony to draw charts on an upcoming voyage. When the artist sees the raw talent latent in Aidan he reaches his hands out to pull her up so that she can see the beauty that she has inside and create the beauty of God’s creation through her art. Though this book was written more than a decade ago (this is a reprint, which is why it costs less than a normal new fiction title) it holds up well as an exciting look into the past and as a romantic historical fiction novel. Though I don’t usually enjoy romance I found myself looking forward to continuing the story. The author does a good job of weaving together the action and adventure of a sea-going vessel riding storms and fighting natives with the requisite romance. I recommend it to fans of the genre. This book was supplied by the publisher as a review copy. The story centers around two sisters – Elinor and Marianne Daswood. The love and loyalty between the sisters is astounding, but they do not understand each other. Elinor is a quiet, sensible and sensitive young lady cheerful and putting others first. Marianne is just the opposite. She has a quick temper, speaks before thinking, is often rude and is full of herself. Her wishes and desires come first regardless of who is hurt. The family lives in late 18 century England where a person is judged by breeding and wealth, looking down on the working class. Circumstances change in the sisters lives and they are forced to move from the family homer to the country. Their half-brother has good intentions as to their welfare, but is overruled by his wife. Through the goodness of a distant cousins and friends, the sisters remain in polite society. Both have feelings for two gentlemen of the upper class, but whose feelings do not appear to be in their favor or any chance of marriage. What transpires in the lives of Elinor and Marianne along with their friends leads to some interesting conclusions. Jane Austen has always been a favorite author of many. However, this is a reprint of the original book first published around 1811. The trivia and notes that highlight this “Insight Edition” in the right margin is very distracting, and at times I found the story rambling without anything worthwhile being said. Jane Austen fans who want to reread the book will, no doubt, purchase the reprint for the interesting trivia, but I found it very hard to follow, due to the inserts in the margin, and to only hold my attention for short periods of time. Olivia Keene, at a early age, has the ability to cipher sums. Her father, being proud of her ability, often took her to the local pub and racetrack, placing wagers on her ability to give the correct answers. Around the age of twelve, something happened and her father lost interest in her, drinking to excess, becoming very quarrelsome, and making Olivia’s life miserable. Coming home late one night she surprises a man trying to strangle her mother. She grabs a fire iron, striking him on the head and he falls to the floor. Thinking she has murdered the man, her mother encourages her to flee from the home and go to St. Aldwyns, a girl’s school where she might obtain a position. On the way, Olivia overhears a conversation revealing a secret she should not have heard. Lord Bradley, occupant of the Manor, and whose secret she had overheard, forces her to take a position in the nursery, caring for his two young cousins. This way he could assure himself of her silence. Keeping her own secret, Lord Bradley’s secret, and his contempt for her makes for a very stressful life. The story is moving, mysterious, and romantic as the writer keeps you focused on the life of a Governess in an English Manor where nothing is as it appears to be. Mrs. Klassen did a excellent job of holding my interest to the final conclusion. I strongly recommend you read the book to see if Olivia’s and Lord Bradley’s secrets are exposed, what impact the secrets have on the lives of those living at the Manor. A must read for those who enjoy historical fiction, you will become a fan of Mrs. Klassen and look forward to reading all of her books. The story begins in Jerusalem A.D. 33 just six weeks after the crucifixion and resurrection of Jesus of Nazareth, the Messiah. A group known as the Followers of the Way, led by Peter, a disciples of Jesus, is gathering believers by the thousands. This group is dedicated to peace and brotherly love, converting Jews and Greeks to the teaching of Jesus. A group known as the Zealots is dedicated to the overthrow of the Roman rule. Abigail, a beautiful young woman, is one of the believers. She has two suitors desiring her hand in marriage. One is a wealthy Jewish merchant, with strong ties to the Sanhedrin, the council of Jerusalem’s religious leaders, who is looking for a mother for his two young children. The other, a young Roman legionnaire, who only wants to possess her because of her beauty. Abigail doesn’t want either one of the men, but fears she has no say in the matter as the ruling council and her guardian will decide what is best for her. She only wants to stay with the believers and do the work she feels the Lord has called her to do. Jerusalem is in turmoil as the religious leaders and the Roman Governor wish to stamp out the fledging church. The cruelty, trials and death that Abigail and the believers face keeps the reader turning page after page. The authors clearly depict the uncertain times of first century Jerusalem along with the Roman cruelty and debauchery. Roman games play a part in the book as well, particularly the arenas where the final conclusion of one man’s revenge and the conversion of another. Highly recommended for readers of all ages – believers and non-believers. Bunn and Oke did it again. 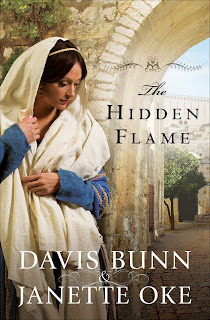 They are two of the best contemporary authors of religious historical fiction. In her novel The Silent Governess, Julie Klassen weaves the tale of Olivia Keene and Edward Bradley. One evening, while escaping her own demons, Olivia overhears some information that Edward would rather not be revealed. In an effort to ensure that she not spread this damaging evidence, Edward insists that Olivia take a position in his house in the nursery. As time progresses, more intrigue and deception come to light. The meaning of family is tried and tested, with the definition being changed at every turn. 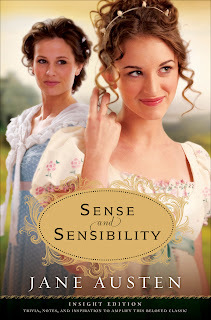 Klassen, a lover of Jane Austen and writer of Regency-period set fiction, has woven a beautiful tale of mystery and romance. The cast of characters display a range of personalities, each one surprising the reader with unexpected depth. As the tale continues, twists and turns abound. That would be one concern I can express with this novel. Those twists and turns can become very difficult to follow, and I had to reread some passages to figure out who was who and what exactly was happening. While it does keep the story interesting overall, too many of these trails can leave a reader lost in the woods. I personally would have also liked to see Klassen follow the personal journeys of faith of both Olivia and Edward. She begins to do this at several points, but she does not ever follow them to any personal spiritual revelation. Overall, Klassen’s novel was a quick, inspiring read. As it is set in one of my favorite periods of history, I really did enjoy reading her tale of a family where not everything is as it seems. Klassen’s tale is well-written and riveting. She tells the story eloquently, adhering to the time period with only a few liberties taken that do not rewrite the history of the period. I certainly look forward to reading other work by Klassen in the future. This book was provided free of charge by the publisher as a review copy. The publisher had no editorial rights or claims over the content or the conclusions made in this review. Visit www.bethanyhouse.com for more information on this book. If given the opportunity to travel through history, one of my first stops would be the Regency Period of England and the world of Jane Austen. I have been a fan of Austen’s since I read the first page of Pride and Prejudice. I currently own all of her published works, some having been replaced a couple of times due to wear. Since my latest copy of Sense and Sensibility bit the dust a month or so ago, I was thrilled to get Bethany House’s copy in the mail this week. In terms of the actual novel, no changes have been made to Austen’s original work. The novel is printed in all its glory with my favorite characters and places still in tact. What has been added by several of Bethany House’s writers are notes and annotations about the life and times of Austen. I LOVE the additional comments, quips, and bits added to Austen’s work. They serve to add the insight intended into a world of ladies and gentlemen. The authors who have offered their take on Austen’s work compliment the novel by adding interesting references and inserting a little comedy into one of the best loved novels of all time. On the minus side (if you can really call it that), the novel did take more time to read. I found myself reading a page, seeing the notations, and reading the page again to see if the added information changed the image I create in my head of Austen’s world. In most instances, it certainly did! It did make the reading more cumbersome at some points, but overall I really enjoyed this take on one of the best loved works of literature. I plan to order the Insight Edition of Pride and Prejudice and look forward to many more such editions. Robin Gwaro is a founding book review blogger at Bookgateway.com and has generously supplied this review. She describes herself as “a woman just trying to keep it all together. Most days, I have the juggling act down! Others, I have the broom and dustpan handy to clean up the mess. My life is not always easy, it is not always neat, but it is always worth every minute!” Her personal blog is Just Wandering. Not Lost.